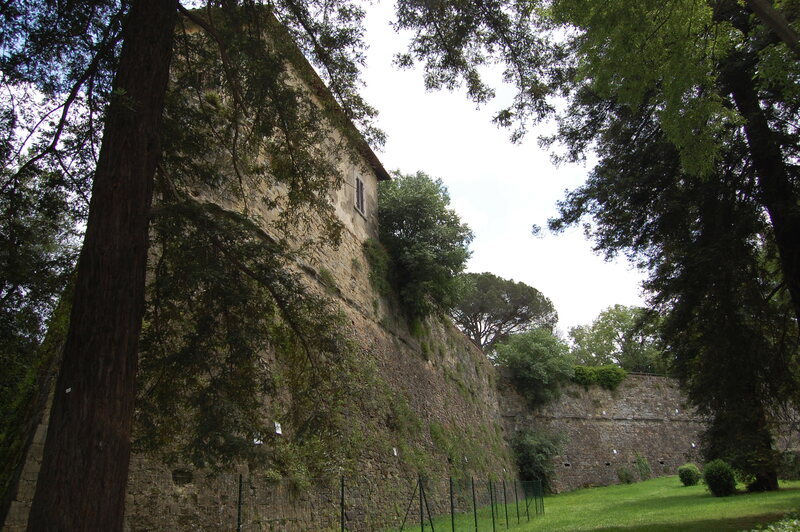 Perched high up over Arezzo’s historic centre is the imposing fortress, whose shadow has been cast on the town since the 16th century when the Medici family ordered it to be built. Designed by Giuliano and Antonio da Sangallo, the Elder, the fortress was built between 1538 and 1560 on the remains of an old medieval stronghold under the direction of Antonio da Sangallo, the Younger and Nanni Unghero. The massive pentagon shape of the fortress is compliant with the military architecture of the period. Originally it had three gates and was surrounded by a large moat, in working condition until the late 18th century. On the east side the two bulwarks, known as Ponte di Soccorso and the Chiesa (Church), have angular projections which incorporate part of the older fortress’s construction. The three bulwarks on the west side, known as Belvedere, Spina and Diacciaia, are part of an intricate network of tunnels, wells, air inlets and large rooms positioned on various levels. At the beginning of 1800 the French troops tried to blow the fortress up with mines; the effects are still to be seen on the west side even though the stronghold was rebuilt in 1868. Bought during those years by the Fossombroni family, in 1893 Count Enrico bequeathed it to the commune. It was adapted during 1896-1904 as a public garden. 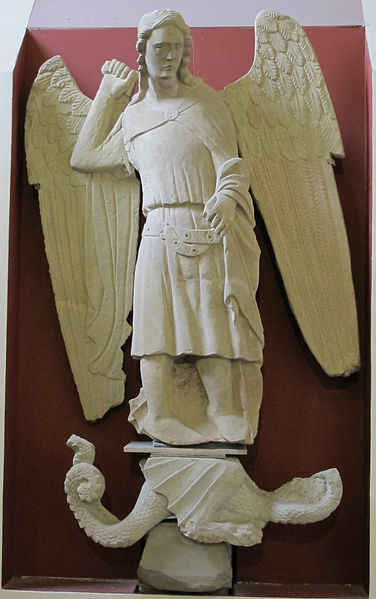 Inside one of the bulwarks a door belonging to the 14th century original fortress was discovered, adorned with a remarkable statue of St Michael the Archangel that today is preserved in the Medieval and Modern Art Museum of Arezzo. At the moment the fortress is undergoing renovations, thanks to which, at the beginning of this year, important archaeological discoveries belonging to the Roman age have been made (for more details read here). 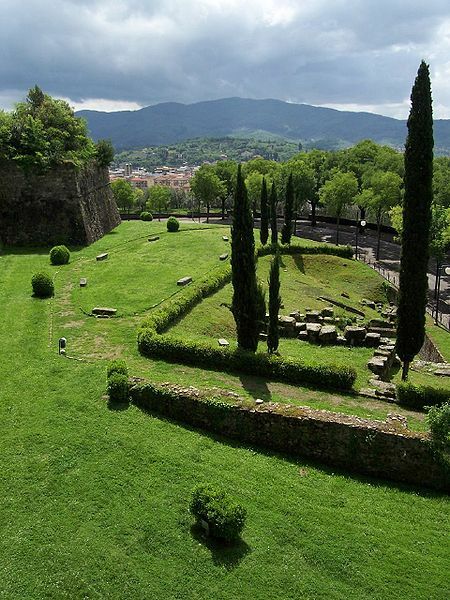 From the fortress visitors can admire a spectacular view of Arezzo, the Arno river valley and a range of small mountains. 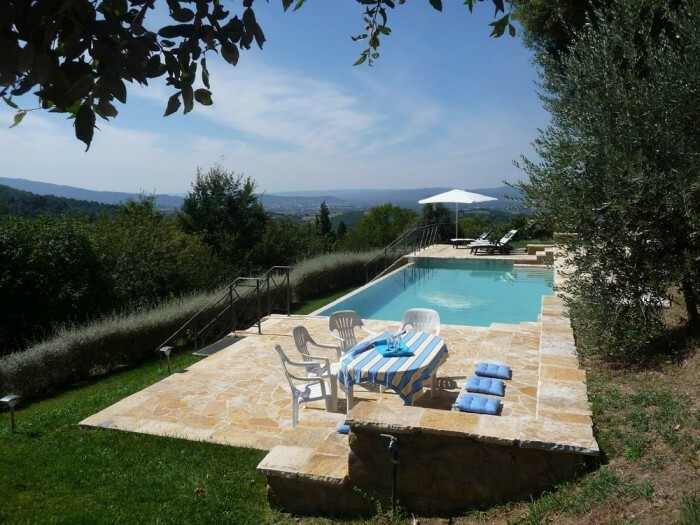 For those wishing to visit the area, not far from the Medici fortress, on the hills opposite, is the village of Chiassa Superiore where a lovely villa for 10 with swimming pool stands surrounded by forests, vineyards, olive groves and cypresses. 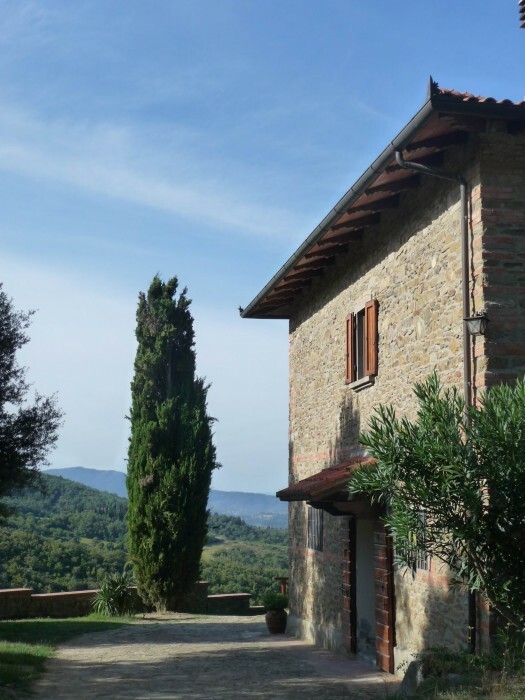 Here too guests will enjoy a breathtaking view over the surrounding hills, relaxing at the edge of the saltwater infinity pool and enjoying many other facilities as well as visits to Arezzo and other art centres in the area. Questa voce è stata pubblicata in Accommodations in Tuscany, Castles in Tuscany, Culture and accommodations in Tuscany, Tuscan lifestyle, Villas in Tuscany e contrassegnata con Antonio da Sangallo, Arezzo, Chiassa Superiore, Giuliano da Sangallo, Medici Fortress of Arezzo. Contrassegna il permalink.